The National Sports Center Velodrome opened its doors to local racing in 1990. Every week during the summer since that first season, Minnesota racers have gone wheel to wheel in thrilling track racing action. The Thursday Night Lights field has produced multiple national champions. 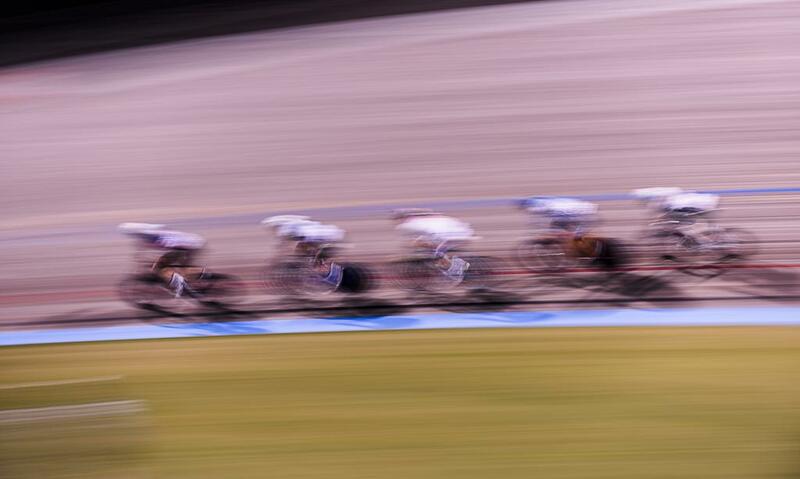 We are thrilled to celebrate yet another season of racing at the NSC Velodrome. Thursday Night Lights (TNL) crowds enjoy a wide variety of races, four unique groups of racers and several unique interactive games under the lights. Fans can pick their favorite racer in special nightly races for chances to win prizes from our sponsors. Our house DJ spins tunes that pump up the racers and the fans. And fans can join us for dinner! The Track Shack concession stand features hot and cold food and beverages during every Thursday Night Lights event. Our calendar system allows you to subscribe to NSC events using most of the most popular calendar applications including: Facebook, Yahoo! Calendar, Microsoft Outlook, Windows Live Calendar, Apple iCal, Google Calendar, and RSS. You can even be alerted of events via email and text message. To subscribe to events please choose which ones you would like to add to your calendar and click on the "Add to My Calendar" button. Follow the simple instructions to download the calendar for your application to complete the download.